When I was a kid I thought Sri Lanka was the most exotic place I’d ever heard of. The words themselves are fascinating and the land itself doesn’t disappoint either. There is so much to do in Sri Lanka. You could easily stay occupied for a week. I have been four times now and still haven’t seen and done it all. But what I have done, I’ve loved. 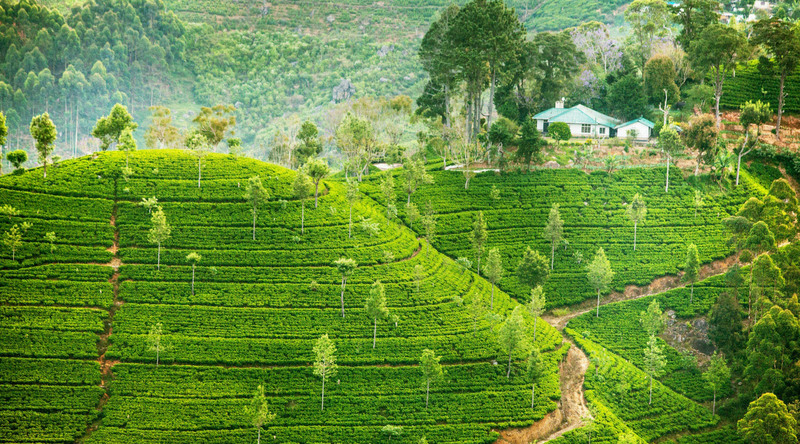 Here are some ideas of what to do in Sri Lanka. First, I suggest heading inland to the Golden Triangle. Depending how much time you have you can do one, two, or all three destinations. My personal favorite is Sigiriya. Sigiriya is a massive rock in the middle of the country that looks spectacular from the ground and atop it. You can climb the rock with the stairs provided. It is not an easy climb but not super hard either and well worth the panoramic views from the top of the jungle below. I wouldn’t recommend the climb for elderly people but it’s still worth going to see the site, which is spectacular. Next up will be the ancient ruins of Polonnaruwa. These are pretty awesome to meander about and take some great photos. It’s a UNESCO World Heritage Site and you’ll likely have it all to yourself. There is some uneven walking involved but it’s all on flat ground with only a few steps up to some ruins. Finally, the city of Kandy is a beautiful place to visit. It’s very popular as a place to take great photos by the lake or to stroll around town shopping for local art and handicrafts. It’s also home to some great Buddhist sites and temples. If you have the time all three of these are great options and can be done in two days relatively easily if you have private transportation. If you want to stay closer to the capital of Colombo, get ready to experience an interesting and hectic city. Colombo is not as crowded or manic as cities in nearby India or Bangladesh, but it’s still a subcontinent city and it will be exciting! Colombo has some good restaurants, modern shopping malls, nice parks and a very attractive waterfront area. It’s not a great walking city because it’s spread out and very hot. I would definitely use private transportation. If you want another option, head down to Galle. The sleepy seaside town is cute and fun to visit. It got devastated during the 2004 tsunami so you’ll see some remnants of that but you’ll also see how well they recovered and what has happened since that fateful day. These are some great ideas on what to do in Sri Lanka. Anything you choose you’ll be glad you did. You’ll have amazing stories and photos to share with family and friends! Enjoy Sri Lanka! Browse upcoming voyages to Colombo, Sri Lanka.